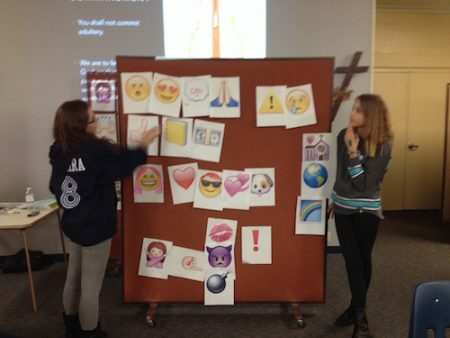 "Our students spent a full half-hour focused on interpreting and communicating the ideas we discussed in Confirmation Class through emojis and had a ton of fun doing it. 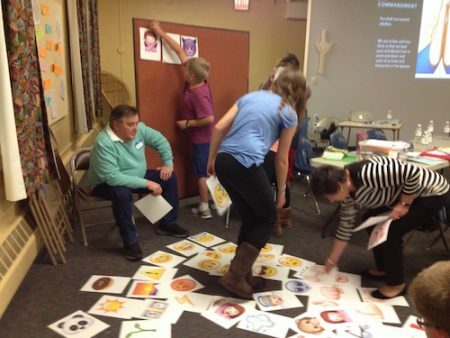 It used a visual language they already use every day to connect with key parts of our faith." 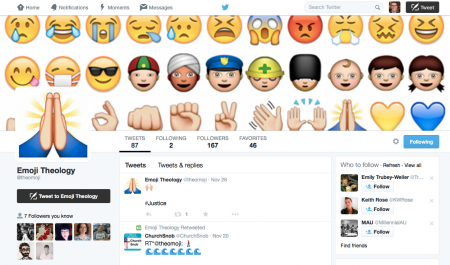 So What Exactly IS an Emoji? 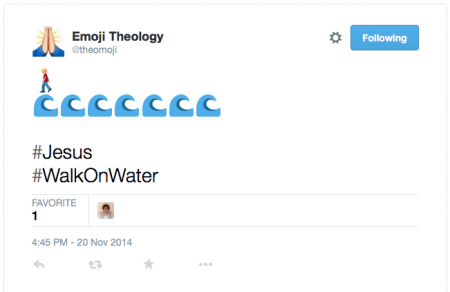 Emojis are everywhere. 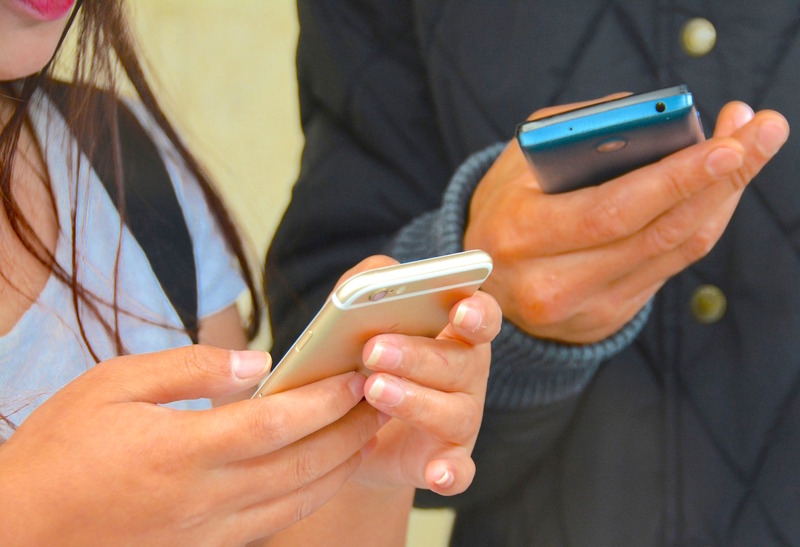 Those little icons, which first appeared on Japanese mobile phones in 1999, of smiling faces, clapping hands, hearts, and all manner of things—including my kids' personal favorite, the poo emoji— have become an integral part of 21st-century communications. They even have their own movie. 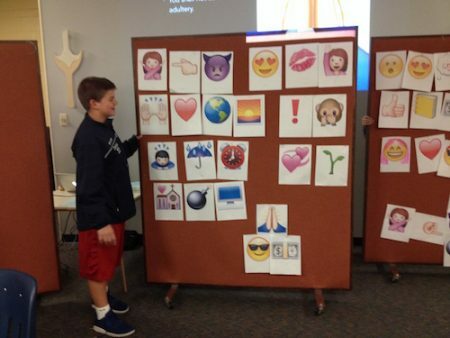 This inspired our church to try our own version of Emoji Theology in our confirmation class of 7th-9th graders. 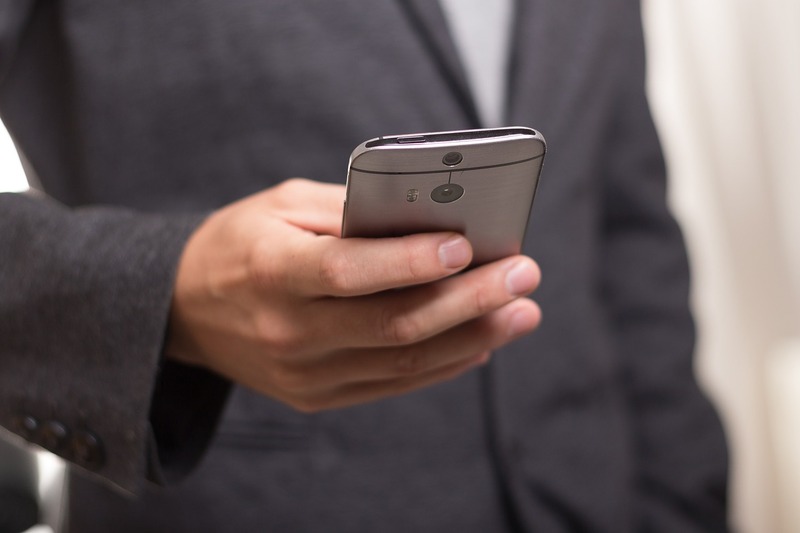 Now, technology can be a tricky thing to bring into a classroom setting. 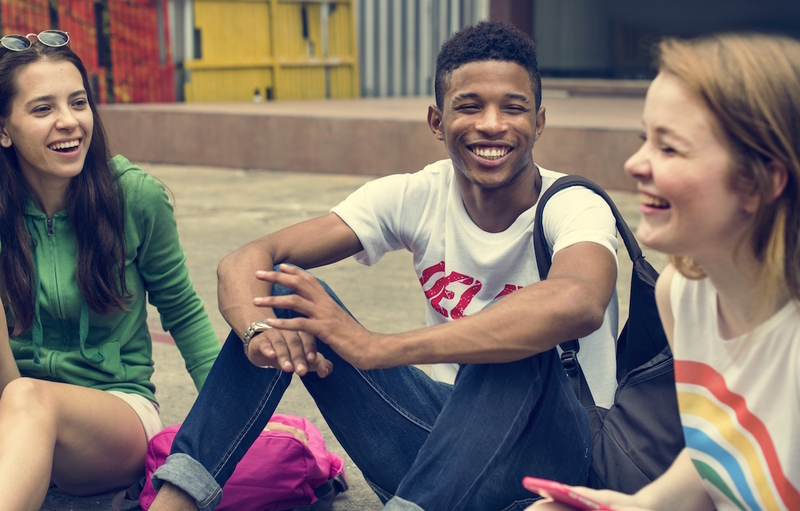 Even though our teens are very tech-savvy, they have varying access to smartphones and digital technologies. We didn't want to assume they all had the access, ability, or permission to use a smartphone for class. 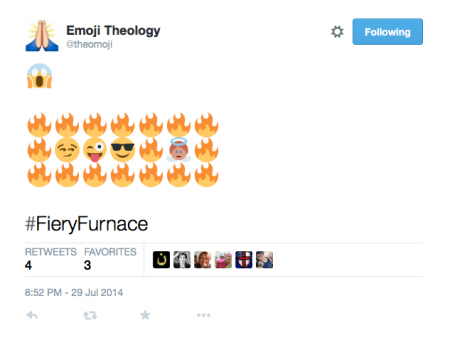 So, we brought this digital language into an analog format: we to printed off hard copies of the emojis. 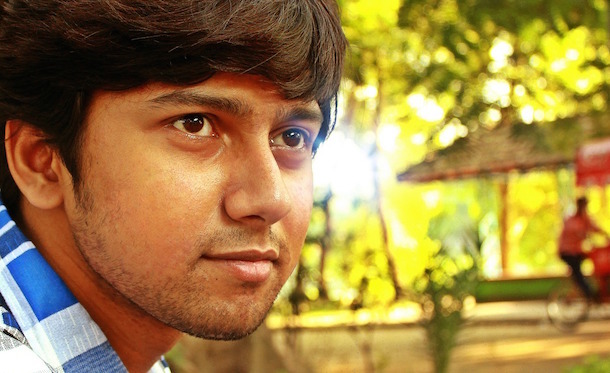 A blog post by Nelson Aguilar was super helpful here. Basically, you need to get the emoji picture files and then, as he writes, “In your printer settings, make sure to select Scale to Fit, then choose Print Entire Image to get the emoji to print in full-size. 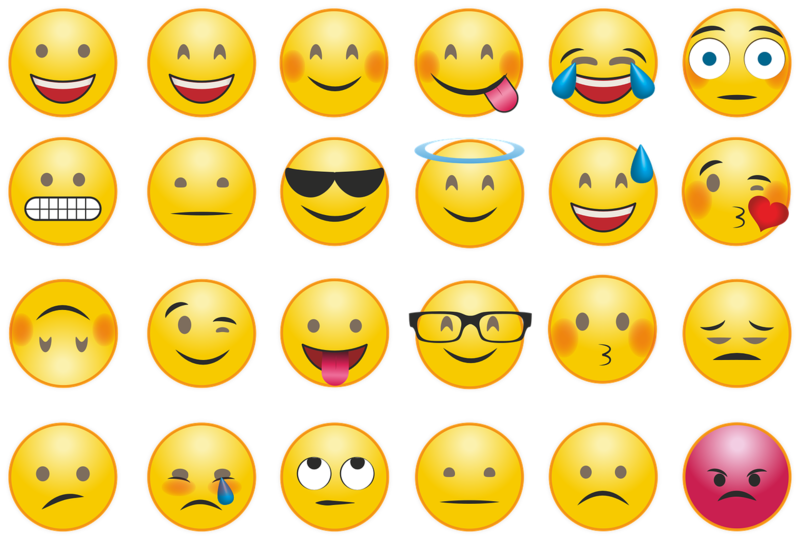 If you want to make it even bigger, you can select Scale instead and enter a percentage number.” Using these instructions, we printed each emoji on a letter-sized 8.5x11” paper. 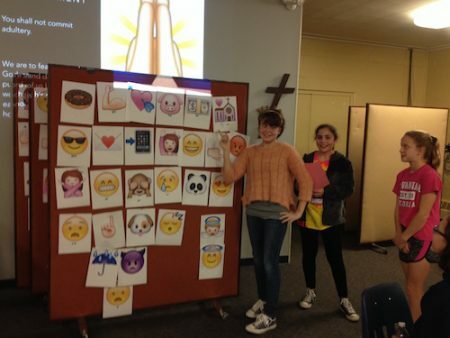 After describing Emoji Theology to the class using that PowerPoint, we provided each small group with a printed packet of about 50 emojis, which we save and reuse after each activity. 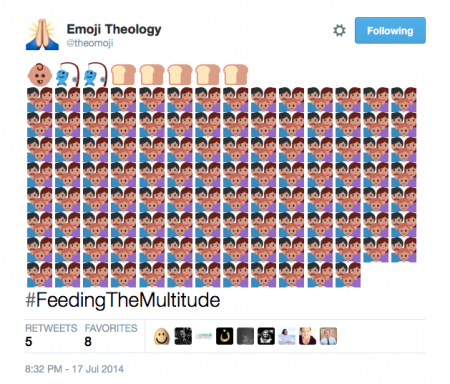 The first time we tried Emoji Theology was for our lesson on the Sixth Commandment: Thou Shall Not Commit Adultery. 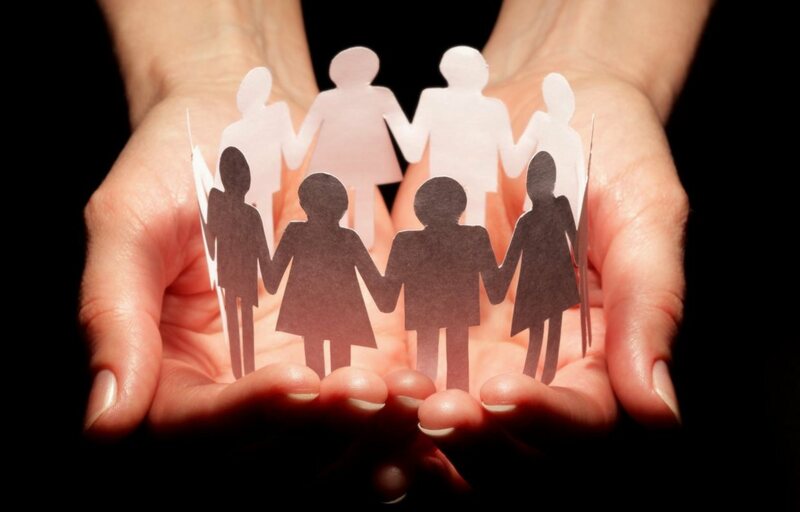 We looked at Martin Luther’s explanation of that Commandment in the Small Catechism: “We are to fear and love God so that we lead pure and decent lives in word and deed, and each of us loves and honors his or her spouse.” Our discussion focused on what it meant to be faithful not only to spouses, but family, friends, and neighbors—and the ways we can love and honor…but also how we can intentionally or unintentionally disrespect others. After they were done, each group explained what they had done. 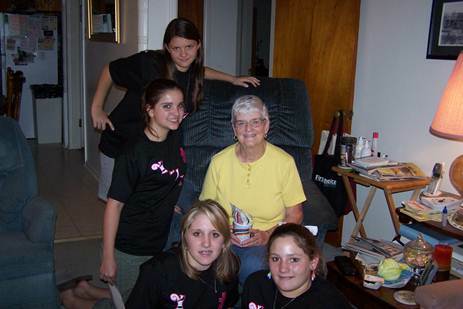 The whole project took about 30 minutes. 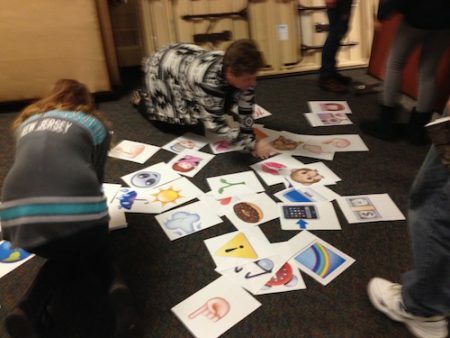 This was an incredibly fun way of engaging the lesson. 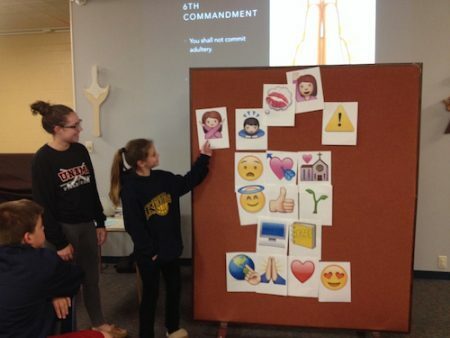 Some groups were more literal in the way they used their emojis and other groups told a fictional narrative that connected to the commandment. It was interactive and collaborative learning. 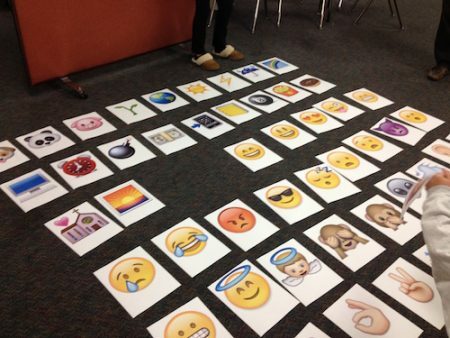 Our students spent a full half-hour focused on how to interpret and communicate the ideas we discussed through emojis and had a ton of fun doing it. 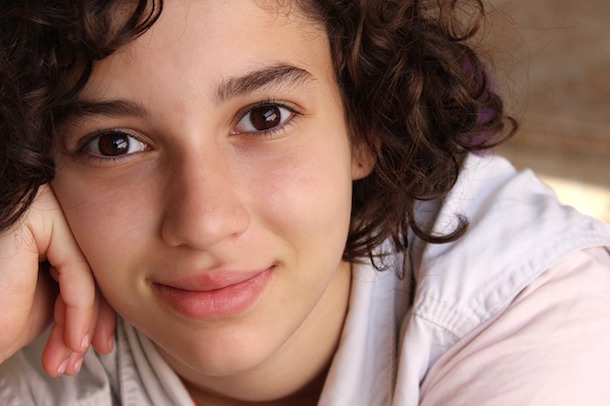 This idea employs a visual language the teens already use every day to connect with key parts of our common faith. 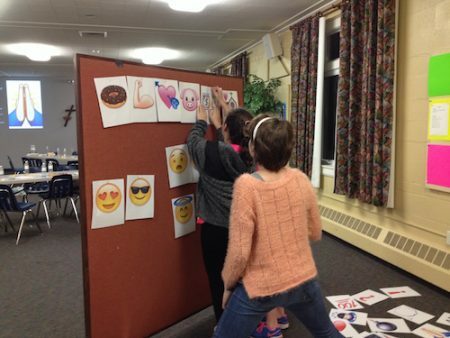 We have used this activity several times since – creating emoji Apostles' Creeds, interpreting Biblical stories, and more. 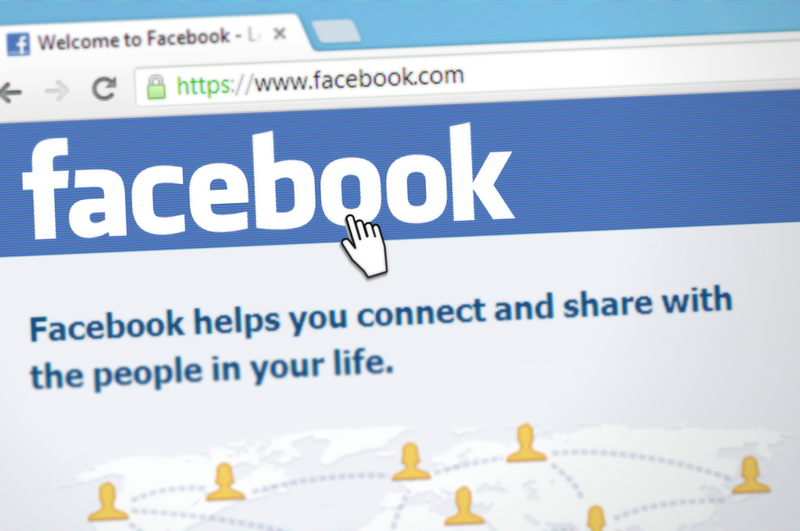 Keith Anderson is the Associate for Digital Content for Lifelong Learning at Virginia Theological Seminary and Pastor at Upper Dublin Lutheran Church in Ambler, Pennsylvania.